Brooks & Dunn are back in the saddle with a new Reboot album that features an all-star cast of artists performing duets with country’s greatest duo. Artists taking part in the project include Kacey Musgraves, Kane Brown, Thomas Rhett, Brett Young, Lanco, Ashley McBryde, Midland, Luke Combs, Brothers Osborne, Cody Johnson, Jon Pardi and Tyler Booth. “Brand New Man,” which was penned by Kix Brooks, Ronnie Dunn and Don Cook, was the duo’s first No. 1 single in 1991. “Believe,” which was penned by Ronnie Dunn and Craig Wiseman, won the CMA Award for Single, Song and Video of the Year in 2006. Reboot will be released on April 5. 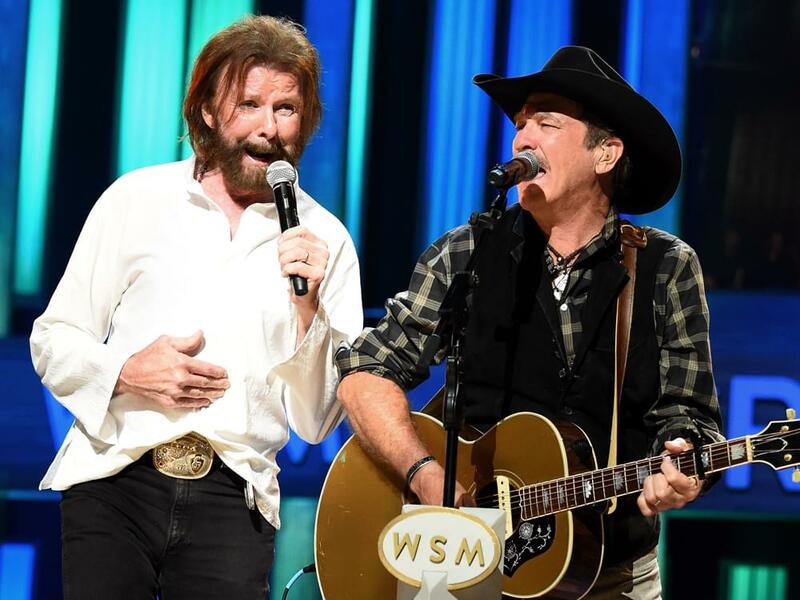 Listen to Brooks & Dunn perform “Brand New Man” with Luke Combs. Listen to Brooks & Dunn perform “Believe” with Kane Brown below.